Beautiful World is a new series at Happy Mummy; each week we will interview a Top Blogger and talk all things Travel. This week we have the pleasure of talking to Victoria from Lylia Rose. Don’t miss Victoria’s tip below re avoiding paying hospital costs abroad! Hello, I’m Victoria, a busy mum of two young children and blogger at lyliarose.com. I live in Gloucestershire in South West England. My favourite place has to be Cornwall! My husband has family friends in a tiny place called Port Holland and it would be my dream place to live! There’s a handful of houses, a teeny beach, plus beautiful hills and countryside. It’s idyllic. We try to visit once a year for a short break. I’d love to visit the Lake District. I’ve never been, but it’s where my husband originates. It looks absolutely stunning and I can’t believe I’ve never been. I love the Greek Islands. I’ve been to Zante, Rhodes and Corfu and they are all so friendly, picturesque and have the most beautiful beaches. The Greek food is pretty spot on too! As many places as I can! I’m keen to see Australia and New Zealand. I’d love to go back to America and do a road trip when the kids are older. I’d also like to visit closer to home as I’ve not yet been to Ireland or Scotland. This is the last time I went on a holiday abroad that wasn’t to visit family, on a Babymoon to Gran Canaria! I love the photo and the scene behind, but also I was six months pregnant. I had no idea at this point how much my life was going to change once I had children and how much I would grow as a person. When I look at myself in this photo I see such youth, naivety and innocence! A secluded tropical beach with palm trees and plenty of greenery, rocky mountain views and gorgeous countryside to take long strolls through. It would be fairly quiet and not full of tourists. An all inclusive package at the hotel and lots of day trips. We are off to Germany to visit family this summer, then we have a real family holiday booked already for next Easter to Jandia in Fuerteventura. I can’t wait! Always get travel insurance, even if just travelling the EU. My Granddad recently hurt his ankle badly on holiday in the EU and the local hospital wouldn’t accept his EHIC card! He had to pay upfront and claim it back from his insurance once home. Don’t assume you are covered just because you carry an EHIC card. A tour guide in Gran Canaria who showed us around the entire island. He reminded me of John Candy and was so knowledgeable about the island, but also very humorous! Ooh my ultimate summer tune is Sonnentanz by Klangkarussell – I could probably hear it on loop in the sunshine all day! 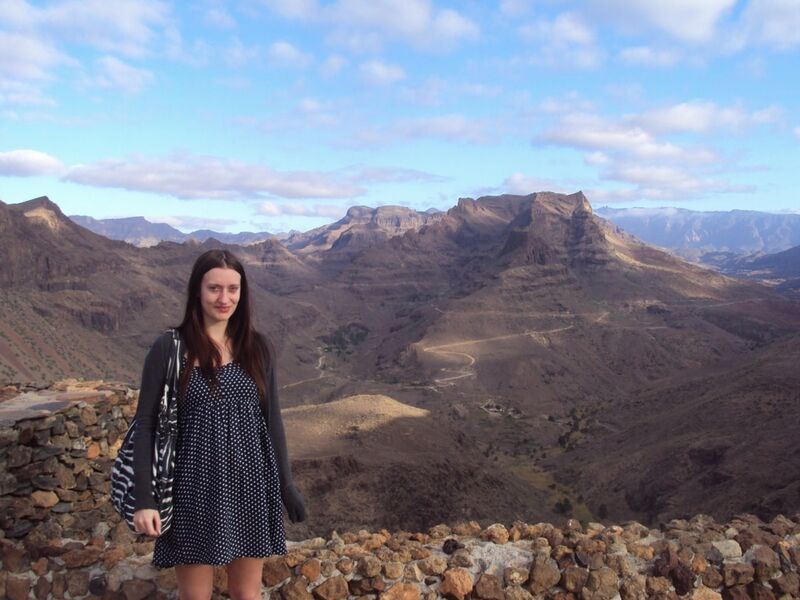 Gran Canaria Review – 5 Reasons to visit Gran Canaria! Good question would also be fav holiday read!